How does your Monday morning sound when you know it brings you the opportunity to win free tickets to Thailand? That’s the kind of news I have to share with you today. Thailand is one of the world’s most picturesque locations for it’s scenic beauty, vibrant culture and tourist vibes. Which is a complete win-win situation for those of you who love to take pictures while on the go! It is the top choice for Indian travelers because of the easy visa on arrival process, beautiful beaches, wild nightlife & of course, the majestic history and culture of the country, not to forget the delicious cuisine. 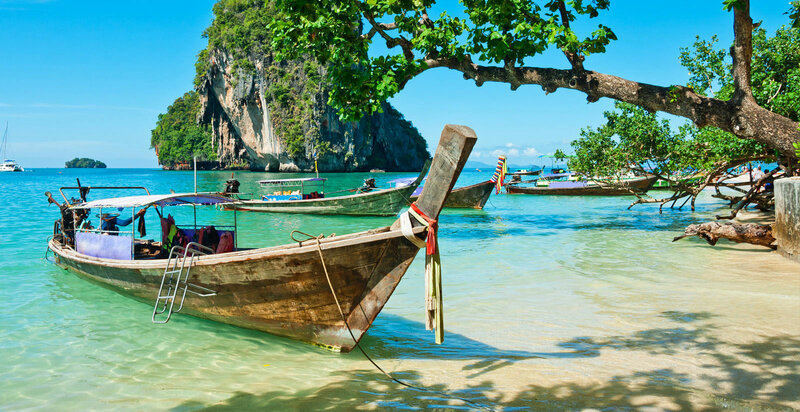 Direct flight connections between India and Thailand make it even easier to take a trip here! This year, Thailand & India are celebrating 70 years of diplomatic relations. To celebrate the same, Thailand Tourism India recently announced a photography contest for Indian residents to win free air tickets to Thailand. Please note, this contest is only for those who’ve already visited Thailand and would love to visit again! (I’m there must be 101:100 ratio for this). While we haven’t visited Thailand yet (We should this year), we thought of sharing the contest details with you guys. One of you might just get lucky! How To Participate To Win Free Air Tickets? The contest rules are very easy. To submit your entry you will require a registration code, which you can generate by filling the form- Contest Form. Code will be available on registered email. Once you have your registration code, go through the Terms & Conditions below & click ‘Enter’ at the bottom of this page to enter the contest. You will be redirected to this page where you will have to submit your entry along with the registration code. You can submit a max of 5 entries per person and each entry should have a minimum size of 2mb and a maximum size of 5mb. If you have been to Thailand before, then share your best pictures of Thailand from that trip. You can win a free air tickets to Thailand for 2. Photographs should be from your previous trips to Thailand. You must own the copyright to the pictures. Plagiarized content will lead to instant disqualification. So what are you waiting for? Go submit your entry even before you share it on Instagram and win your free air tickets to Thailand!